So, you have got everything sorted: the perfect venue, interesting wedding theme, party size, the most beautiful gown and a romantic honeymoon package. Well, there is still a lot to think of: music, flowers, favors, cake and, of course, a stylish way to get there! If you don’t possess your own impressive vehicle, wedding car hire is something that will surely help you add that “oomph” effect to your wedding. However, why wouldn’t you think beyond the white stretch limo? 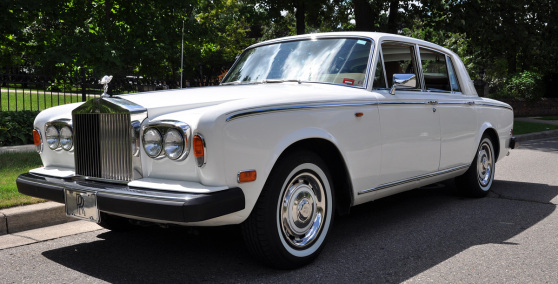 Consider hiring a classic or vintage car for your big day. Although a limo works really nice with a traditional glam wedding, not all the brides choose that wedding style. If you’re an off beat bride and you want something really unique, you should look for something that will really express your style. In case a replica of 007 Aston Martin or a flash Bentley make your heart beat faster, give it a go! Classic and vintage cars look great in photos and you’ll feel special while being driven around in an breathtaking old car. For a modern loft wedding, a 1950 sleek silver Rolls-Royce will add that special touch you’re looking for. 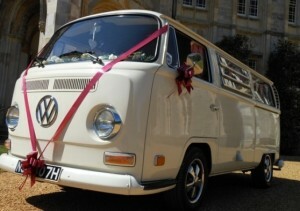 On the other hand, if you’re planning a romantic boho-chic wedding, the VW campervan will be the perfect choice. In addition, these vans are colorful, cute, roomy – so great for your big wedding dress or a large wedding party. When it comes to booking a wedding car, you should do it at least six months in advance, of course, after you’ve settled the date. If you are a May or June bride, keep in mind this is prom and graduation season. Undoubtedly, that means you’ll need to book wedding transportation even earlier. The same goes for classic and vintage cars, which are, logically, always in shorter supply. Popular wedding car hire companies offering great rides are usually packed with bookings, therefore book well in advance to get exactly what you want for your special event!